Sam Brownback, U.S. Ambassador at Large for International Religious Freedom, is scheduled to speak during the Public Policy Super Session on March 26 at Proclaim 19, the NRB International Christian Media Convention in Anaheim, California. 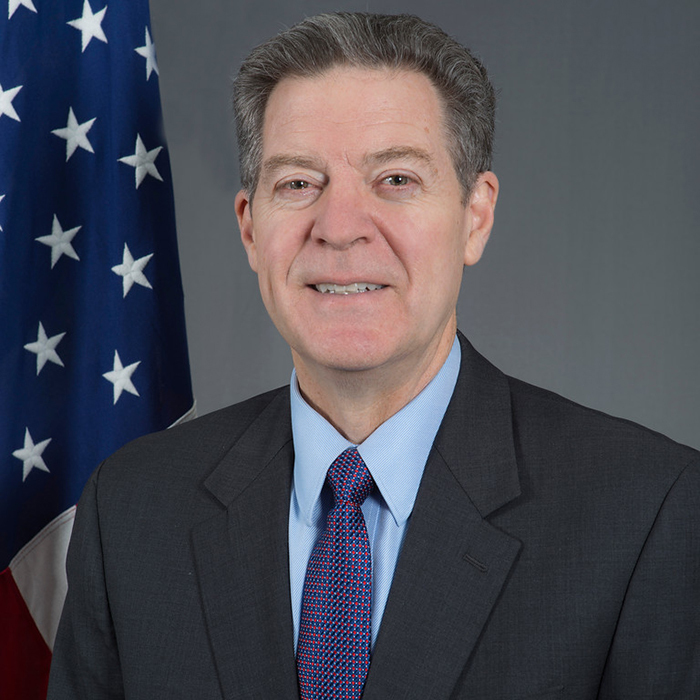 Before he was sworn in as Ambassador last February, Brownback served as Governor of Kansas from 2011 to 2018. Previously, he served as a U.S. Senator (1996-2011) and a Congressman in the U.S. House of Representatives (1995-1996) from Kansas. While a member of the Senate, he worked actively on the issue of religious freedom in multiple countries and was a key sponsor of the International Religious Freedom Act of 1998. Brownback also served as Kansas Secretary of Agriculture (1986-1993) and was a White House Fellow in the Office of the U.S. Trade Representative (1990-1991). Prior to his public service, Brownback was a private attorney in Kansas and taught agricultural law at Kansas State University, co-authoring two books on the subject. Other speakers at Proclaim 19 include Greg Laurie, John MacArthur, Charles Stanley, Joni Eareckson Tada, Tony Evans, Priscilla Shirer, Rick Warren, DeVon Franklin, Alex Kendrick, and Jon and Andy Erwin, among many others. Also, to be guaranteed a room at the best rates at one of the two convention hotels on the Anaheim Convention Center property, make your lodging reservations by February 15. To reserve a room, click here.